frykter nye blodbad i libya i dag vg click I have always loved to read. I was blessed with parents who read to me a lot as a child, and who acted as though reading an entire adult-level book in one day was a totally normal activity. There are so many Baha’i books to read and obviously our first priority should be the Baha’i Writings themselves…but as a young person, I often connected more to stories, and by reading stories I found joy in the Writings. block my ip address Here is a list of books with some of my favorite stories about Baha’is, just to get you started. Part 2 and Part 3. 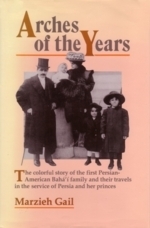 -I honestly connected with these books first because it is the story of the first Persian-American Baha’i marriage, and since I am a product of one of those marriages, I found this story fascinating. Marzieh Gail is the daughter of Ali-Kuli Khan and Florence Breed, and she shares her family history with humor and reality. -This is a book that I recommend to a lot of people because it is an easy read and is a passionate, loving account of Howard Colby Ives’ interaction with Abdu’l-Baha, as well as his own reflections and struggles. -This collection of short biographical sketches of early Baha’is is great to read because Abdu’l-Baha Himself wrote it, and because you can read it in shorter pieces. I remember my mother reading this book to me as a kid. -Like the above book, this is a short collection of the histories of the Hands of the Cause. 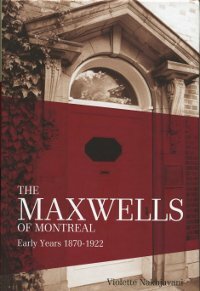 I read this book when I served at the World Centre, and it helped me get an overall sense of who they were, which then took me to the individual biographies of several of them. -“One family, bonded in their love for the Bahá’í Faith and for each other, committed through decades of uninterrupted service to the promotion and establishment of that Faith worldwide. They were born during the Heroic Age of the Faith – the parents during the lifetime of Bahá’u’lláh, the child during the Ministry of ‘Abdu’l-Bahá – and they lived to serve the Guardian of the Cause during the early decades of the Formative Age at the most critical time of his ministry.” This series is sweet and contains so many stories that none of us ever knew, and helped me understand the sacrifices this amazing family made in their service to the Faith.